I recently went to the Government Digital Service Blog Camp event in London. This was a get-together for everyone involved in running a GOV.UK blog. It was a great day and I learnt a lot. I was impressed by the commitment there is to blogging across the whole of Government. It’s such a good way to open up what different parts of Government are doing and, importantly, to show that Government isn’t a faceless bureaucracy but is made up of people with passion and dedication for what they do. One of the things a lot of people talked about was the importance of a good title to make people want to read your blog article. So I thought I’d try to come up with something for this one that would capture everyone’s interest. And judging from the fact that you’re here reading this, it seems to have worked! 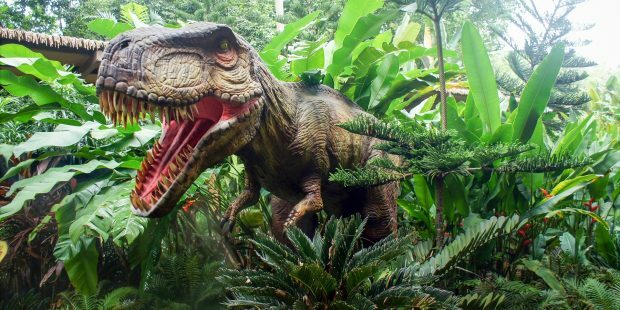 Strictly speaking, it’s totally factually correct, of course, as despite my initial fears and a few close calls I wasn’t eaten by any velociraptors or tyrannosaurus rexs. Phew. This was the second year of blog camp. The Intellectual Property Office wrote a great blog last year about the first one. They were there again this year and ran a really interesting workshop on what makes a good blog article. Do let me know in the comments below what other ideas and suggestions you have for a good blog article. How do you decide which ones to read? There were also interesting sessions on how to blog like a journalist, getting to know your audience and how to use social media (like Twitter) effectively. I was struck by the importance of updating and developing previous blog articles, especially the most popular ones. And also how important it is to blog about the things our audience is interested in, not just those topics we feel are important. As ever, we love feedback so do keep telling us what you want us to write about. 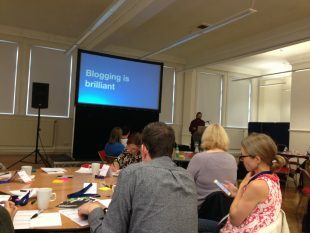 My take home message from the day was the importance of each blog being an ‘authentic voice’. For me, this means that all the authors of the PHE Screening blog should come across as being passionate and knowledgeable about what they’re writing about and should write in a way that shows their personality, interests and experience. I hope that’s what we do and will continue to do. PS. If you’re interested in more reflections on blog camp, you can see many people’s thoughts on Twitter using #GovBlogCamp. PHE Screening BLOGs provide up to date news from all NHS screening programmes. You can register to receive updates direct to your inbox, so there’s no need to keep checking for new blogs. Is there a health condition we should consider for screening?